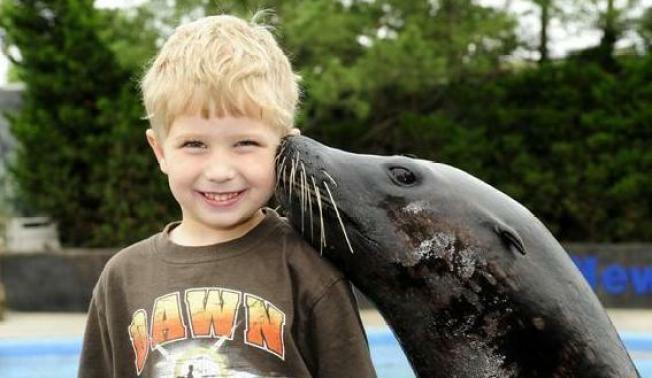 Have you ever dreamed of getting a kiss from a sea lion? Well, now is your chance. The Wildlife Conservation Society's New York Aquarium has started a new program that will take you behind the scenes of the Aquatheatre. You can help out in the kitchen, learn how they train the sea lions, and, ultimately, get a sea lion kiss. The session lasts over an hour. You will learn more about the sea mammal, get the chance to thaw and cut fish for the sea lions to eat. You will even learn some techniques you can use with your own pets. At the end, you will have 20 minutes for a meet-and-greet with one of the Aquarium's sea lions. This will be your chance to pet the animal, get your kiss, and have your picture taken. The Sea Lion Encounters cost $200. The money goes to support the New York Aquarium, one of the latest victims of New York City budget cuts. If you're squeamish, you probably won't even want to get close to these adorable sea mammals. But, if you do, the Aquarium will supply you with gloves, hand sanitizer, and even a disinfection mat for shoes. So, pucker up, get your sloppy kiss. And, S-M-I-L-E! 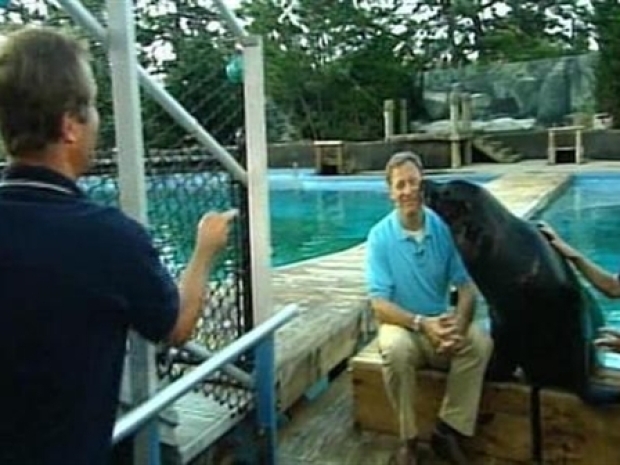 Today in New York host Michael Gargiulo gets up close and personal with Duke, the sea lion.